Anjer Inc offers a wide variety of new trailers & used trailers for sale in PA, NJ & DE. The new trailers are affordable, reliable & if maintained properly, able to last a long period of time. We only house reliable, sturdy and durable inventory and offer it to our customers at the best rates possible. Bucks County, Philadelphia County & Mercer County are just some of the areas we represent for both service & for sale. Our vendors offer a wide variety of van trailers for Anjer Inc to sell. We believe that each customer is different & as such we can build customized trailers to meet each customer’s needs. Some of the many options available are additional side doors, translucent roof, custom colored skins, Maxon liftgates, Waltco liftgates, Palfinger liftgates, Anthony liftgates, Thieman liftgates, Leyman liftgates, composite scuff, & tire inflation systems. These are just some of the options available for customers to buy. Anjer Inc represents many vendors for selling platform trailers. Flatbed trailers are some of the most reliable trailers on the road today. Logging, flatbed & lowboy new trailers are just some of the styles that Anjer offers for our customers to buy. You may have seen these trailers if you are driving around Bucks County, Philadelphia County or Mercer County. Can’t find the flatbed spec you may need? Just ask Anjer Inc! We will be happy to provide the service that every customer needs. Apitong flooring, additional toolboxes, aluminum bulkhead, Maxon liftgates, Palfinger liftgates, Waltco liftgates, Anthony liftgates, Thieman liftgates, and Leyman liftgates are just some of the options offered. Anjer, Inc is also a proud dealer of Contral chain drive new trailers. These trailers offer the most efficient, quick, and safe means for transporting containers and hauling your heavy-duty equipment. Contral chain drive trailers provide container delivery trailers that are equipped with pony motors, sliding axles and the Chain drive container delivery system with winch capacities available from 13,000 up to 45,000 pounds. The Contral Container delivery trailer chain drive delivery system has proven to be the quickest, easiest and most efficient way to deliver or pick-up a 20’ storage or 40’ storage container. 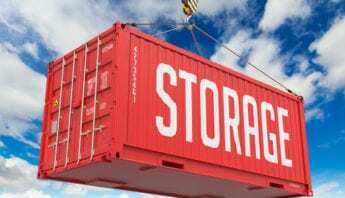 The Contral Container delivery trailer has chain drive container delivery Trailer models with specifications to fit your portable storage fleet’s container delivery needs. Contral Container Delivery Trailers can handle any size storage containers up to 53′ in length. 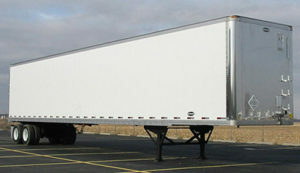 Anjer, Inc. has an increasing inventory of used trailers for sale. These trailers are currently available for purchase and have had the necessary repairs to make them immediately operational. The trailers listed below are not the only used trailers in Anjer Inc’s inventory so please call an Anjer Inc representative for more information about purchasing them. Contact Anjer Inc today to see if we sell trailers in your area today! Dry freight vans offer long-term quality and reduced maintenance for hauling dry goods. Platform trailers have a level bed and no sides or top, easy for loading cargo. Trailers offering efficient means for transporting containers. Used trailers available for sale at Anjer, Inc with many available options.